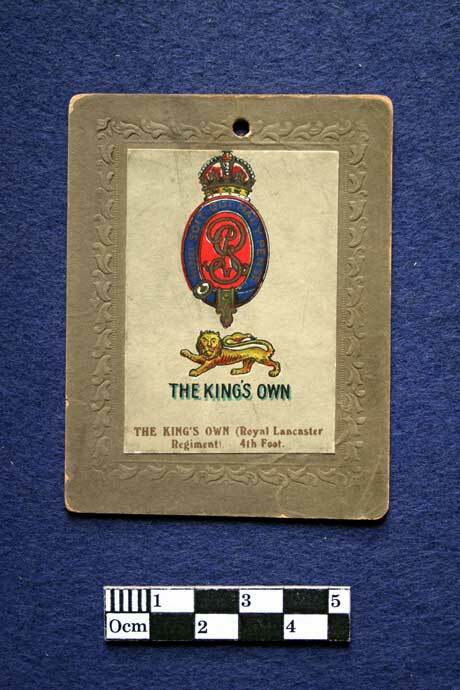 Regimental Badge, of the King's Own Royal Lancaster Regiment. 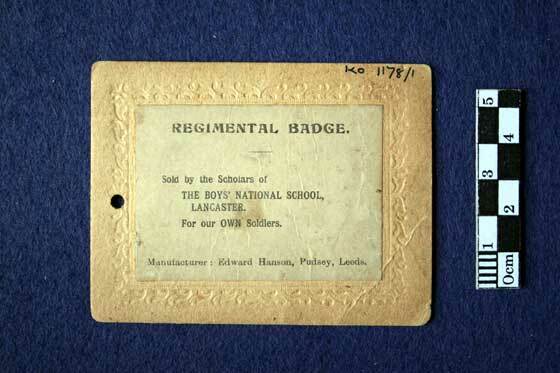 Sold by the Scholars of The Boys National School, Lancaster, For our Own Soldiers. 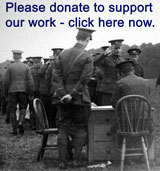 Manufacturer: Edward Hanson, Pudsey, Leeds.